One of several major US cities in the state of California, San Diego is well known all around the world for its rich history, impressive harbor, comfortable year-round climate, and beautiful views. With stunning beaches, incredible waters, fascinating museums, entertaining live shows, and many enjoyable activities to try all around the city, San Diego offers residents and travelers plenty of reasons to get out and have fun. One activity you might not normally associate with San Diego is roller skating, but several rinks can be found around the city. 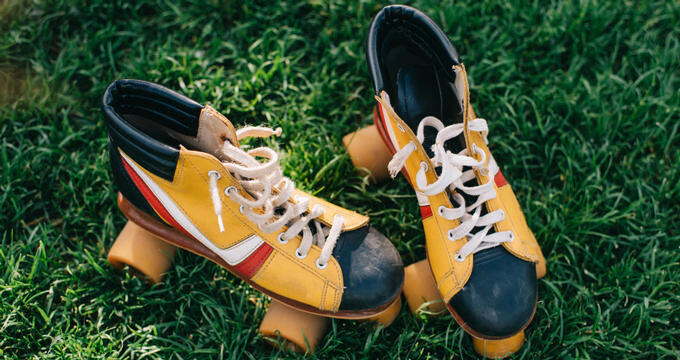 Roller skating is a very fun activity and there are plenty of places for you to enjoy it both in and around the city of San Diego. California is known as one of the most active states in the US and roller skating is one of the best ways for you to stay fit and enjoy some exercise with friends and loved ones. So the next time you’re looking to check out some roller skating in San Diego, be sure to head on down to one of the top rated rinks listed below. The premier roller skating destination in San Diego is undoubtedly Skateworld San Diego. Featuring the area's only wooden roller skating rink, this location is set in a huge warehouse with a curved ceiling that provides excellent acoustics for the various music tracks that are played during each roller skating session. Special lighting effects enhance the atmosphere even further, with low-cost admission prices and skate rentals available every day. Monthly skate passes can even be purchased for people who want to visit this roller skating rink on a regular basis, with public skating running several days a week and special events like Skate School classes and adults-only sessions also held on a regular basis. The location can be rented out for private parties like birthdays, scout reunions, fundraisers, and more, and the skating rink is also fitted with a classic snack bar serving popcorn, slushies, chips, sodas, and other tasty treats of all kinds to boost your energy levels after an intense roller skating session. Skate San Diego - 165 Denny Way El Cajon, CA 92020 (619 562-0323) Home of roller hockey in San Diego, Skate San Diego hosts various leagues and games for this awesome sport, with tryouts and sessions also available for anyone interested in giving roller hockey a try for the first time. It's a great way to stay fit and active, as well as making new friends and indulging your competitive side. Not only that, but Skate San Diego also runs regular roller skating sessions on its huge, well-maintained rink, including public sessions and private parties of all kinds. Classes and roller hockey tournaments can be enjoyed by elementary, middle, and high school students, and roller derby teams can also train and play at this location, which fully welcomes roller skating enthusiasts of all kinds. Roller hockey leagues and tournaments take place every week, and public roller skating sessions are open to all on Fridays and Saturdays. For a different kind of roller skating experience in the San Diego area, take a short drive north of the city to Epic Rollertainment. One of the most popular roller skating locations in all of California, this vibrant, modern location runs open skate sessions, roller skating lessons, private parties, a roller skating shop, and so much more. Decorated with style, this place feels more like a family fun zone than a simple roller skating rink, with music, lights, and special effects making every evening even more magical. Arcade games and tasty snacks can also be enjoyed and special events like Disney-themed sessions, adults-only evenings, 80s and 90s nights, and more are all scheduled every single month at Epic Rollertainment.